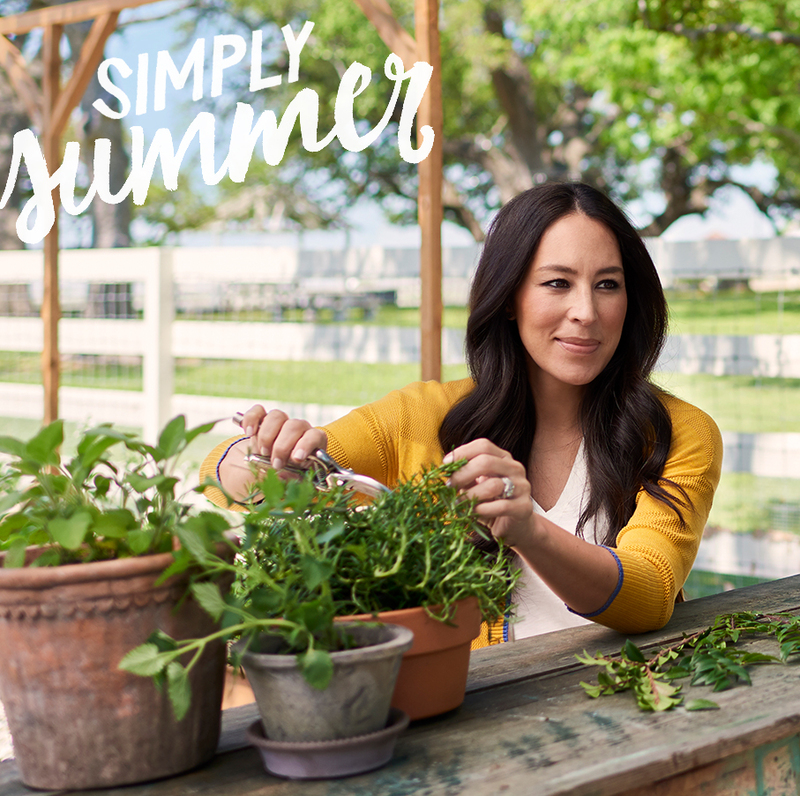 We are so happy to be collaborating once again with Joanna Gaines on the sweetest collection for summer. We love working with her so much! Not only is she someone we have long admired, but she’s an MJ mom, too. She and her girls have been wearing Matilda Jane for years, which makes everything she designs with us even more special. We thought it would be fun to sit down with Joanna and Madeline, our director of design, to get the complete scoop on the latest collaboration for June. MJC: Tell us all about this new collection- what can we expect to see? Joanna: Much like I do when I’m designing a space, I love pulling inspiration from what’s around me. It’s been so fun to see how this translates into clothing. 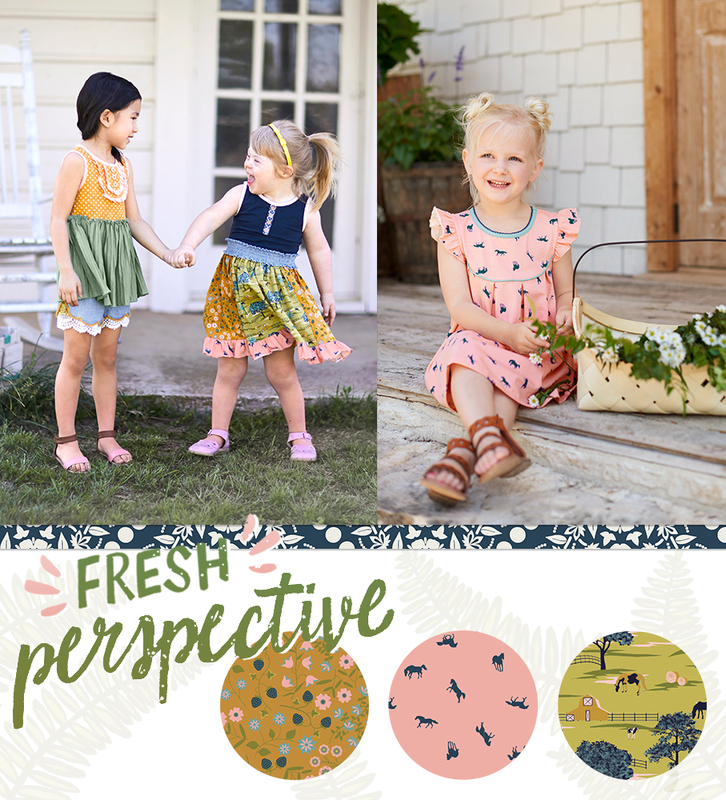 The whole inspiration for this new collection was summer here out on the farm. The long days, the hazy sunsets, kids running around just being kids. Madeline: Right – we loved this idea of summer on the farm. We did a lot of silhouettes that are super simple and just perfect for summer. All the fabrics are really easy, too. And the palette is really pretty – with fresh greens, pretty pinks, and a deep blue we all love so much. Joanna: We were really able to capture the farm feeling that we were aiming for with sweet floral prints and landscape scenes. Madeline: There’s this lovely little farm scene, and then this sweet berry print, and some fun ones too, like this little horse print we loved so much we put it on everything. Madeline: For home, we’re doing a room we’ve never done before: the playroom! We created the sweetest little storage bins, some fun poufs, and even wallpaper! Joanna. The poufs are my favorite. They’re cute, comfy and perfect for the kids to settle in with a good book. MJC: What special pieces are you most excited about? Joanna: There are so many special pieces in this collection. There is this spearmint dress – it’s actually a remake of a MJ dress I’ve had in my closet forever. We updated it with a really easy-going, go-anywhere knit skirt. Madeline: Yes – the women’s assortment is so pretty – just really simple and feminine. Everything in it is on my wishlist! And for girls, there are some sweet dresses. I really love everything. 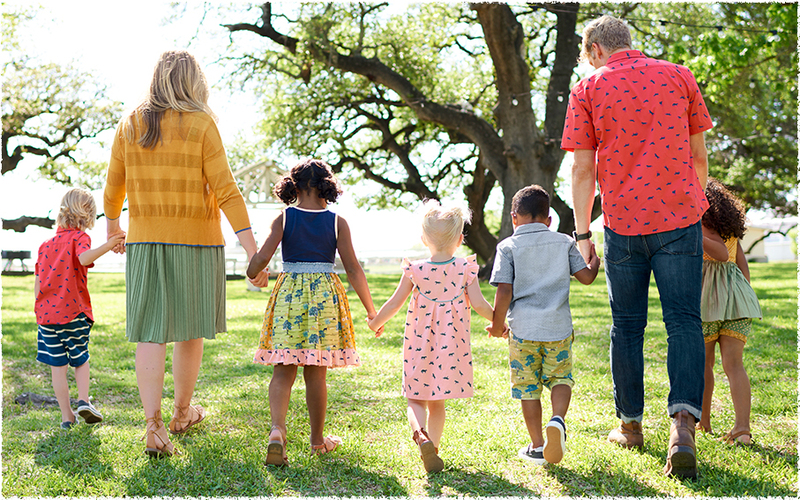 I just love how it all coordinates together and gives families this whole complete look that they can wear together this summer. MJC: We know a lot of heart goes into each and every piece in a collection like this. How do you hope it makes people feel? Joanna: At the end of the day, I hope people have fun with this collection. The whole idea of being inspired by life on the farm is really rooted in an effortless, easygoing lifestyle, and that’s the feeling I hope people have when they’re wearing these pieces. Madeline: Agree! Summer is such a special time for families. I hope these pieces make summer even more fun and enjoyable! You don’t have to wait long to see the complete collection. It all arrives tomorrow, June 1! I am so super excited about the collections. My daughter and I both love Matilda Jane from clothes,bows,bedding,bathroom decor,bags,dolls everything!!! We ❤️ It all !! I’m fairly new to MJC & cannot begin to imagine it’s going to be better than ever with the collaboration with Joana! I do KNOW it won’t disappoint, as it NEVER has! I’m hoping to win a “voucher” for shopping in June, per my Trunk Keeper! I have a 3 year old daughter with Down syndrome and I love that MJC is an inclusive company! Makes my momma heart happy! Can’t wait!!!! We adored the last Joanna Gaines collection and know this one will be even better! Booked my show last week at a new coffee shoppe in town ! can’t wait to see this whole collection! © 2019 Matilda Jane Clothing Rocks|ProPhoto Photography Blogsite by NetRivet, Inc.